← Very first post ! This entry was posted in 5. 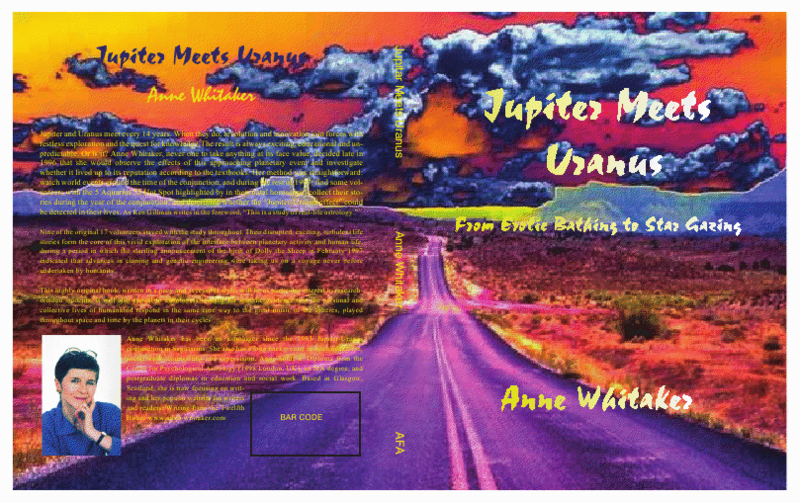 AFA Interview: Jupiter Uranus and the Purple People from Planet Zog.... (Summer 2009) and tagged 1997 Jupiter-Uranus conjunction in Aquarius., AFA Newsletter, American Federation of Astrologers, Anne Whitaker, Big Bang, Cape Canaveral, CERN Large Hadron Collider, Dolly the Sheep, Hubble space telescope, Jupiter/Uranus conjunction 2010/11, Jupiter/Uranus conjunctions, Moon Landing July 20 1969, upcoming Jupiter-Uranus conjunctions in Pisces and Aries.. Bookmark the permalink. I’ve just read your interview in the AFA journal of June 22, 2009. What an excellent article, such a fine example of how to do mundane astrology, with lots of good tidbits along the way. Enjoyed reading your interview in AFA Bulletin. It is awesome. Mundane Astrology has always been dear to my heart. With my natal Uranus at 3 Aries (1st House) and my natal Mars at 4 Cancer (4th House) I will be closely watching the transits next spring. thanks for your encouraging comment – as you will have gathered from the interview, Mundane Astrology has always been fascinating and compelling for me too. And we have something else in common – my natal Mars is 1.5 Cancer (10th House) so I await the next Jupiter/Uranus conjunction with great interest….maybe another career – only had four already!